Find news and articles on European politicians, including French politician and lawyer Marine Le Pen. Get the news and stories on Marine Le Pen’s background and career. Currently she is President of the National Rally political party (previously National Front.) Marine Le Pen is also the member of the National Assembly for Pas-de-Calais's 11th constituency. Marine Le Pen also used to be a Member of Parliament from 2004-2017, a municipal councillor in Henin-Beaumont from 2008 to 2011, etc. Read news on RT.com on the political views and comments of Marine Le Pen. 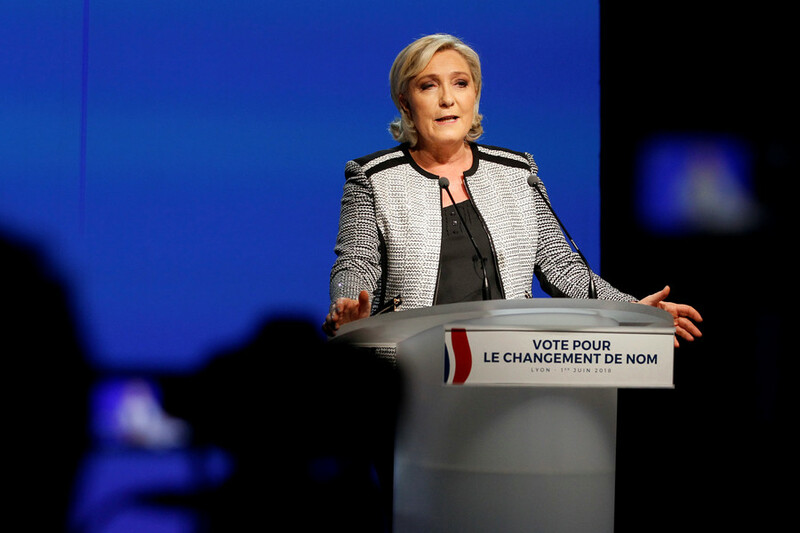 She is characterized by many political experts as more republican than her nationalist father Jean-Marie Le Pen. Find news on RT about presidential elections in France. 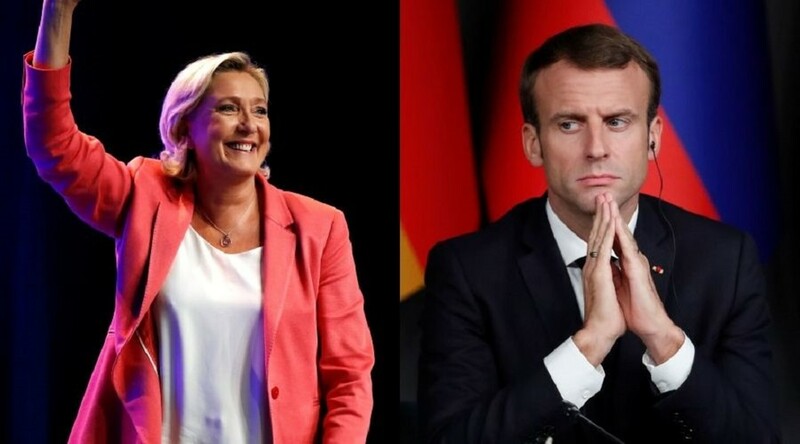 In the 2017 presidential election in France, Marine Le Pen was placed second in the first round, and faced current French President Emmanuel Macron. Follow RT for news on Marine Le Pen’s relationships with other world states, including EU countries, the US, and Russia. 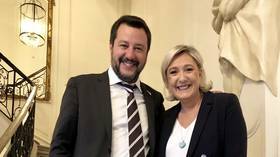 Leader of Italy’s Lega party Matteo Salvini has met France’s National Rally chief, Marine le Pen, to discuss upcoming EU elections. Salvini also teased a right-wing rally the likes of which Europe has never seen before. Anti-establishment parties across the EU are expected to receive a surge in popularity at the ballot box, as a poll released Saturday indicates voters tired of the Brussels status quo could lead to a doubling in Eurosceptic MEPs. The landslide success of Emmanuel Macron’s party seems to be fading away as the party of his presidential rival, Marine Le Pen, is overtaking his ruling alliance six months ahead of European parliamentary elections, a poll shows. 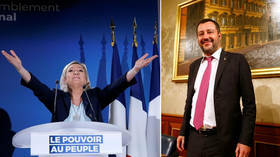 Italy’s Matteo Salvini and France’s Marine Le Pen have pledged to fight the “totalitarian” EU and bring Europeans “their future back” as they launched their campaign ahead of the European Parliament elections.